Most athletes, coaches, and performers are in constant pursuit of answers to the same question: What will it take to become great? Through many years of working with athletes in the roles of teacher, coach, mentor, and now sport psychology consultant, I have come to discover that the answer to this critical question can be summed up in a single word. Intangibles. There is a direct correlation between sustained success and the quality of one’s intangibles. Kevin Durant, newly crowned NBA Most Valuable Player. See his acceptance speech here. 26 minutes of Durant emotionally alluding to the intangibles that elevated his game and made it possible for him to become the MVP. Confidence, response to adversity, being a good teammate, competitive drive. Teddy Bridgewater, 2014 Heisman finalist quarterback. Read the article here highlighting Bridgewater’s unique path to becoming one of the first quarterbacks taken in this month’s NFL Draft. Response to adversity, self-awareness, confidence, character. 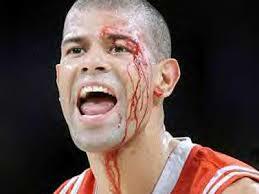 Shane Battier, NBA champion, Miami Heat. I’m not sure there’s a more impressive statistic than this one: Battier has joined 3 teams since entering the league (Memphis, Houston, Miami). Each team has improved their record after signing Battier, and seen their record get worse when he signed to play somewhere else. Call it the Battier Effect. Character, work ethic, mastery mindset, attitude. So if the formula is a relatively simple one, then why haven’t more people figured it out? Why do only a select few athletes seem to possess these intangible qualities that lead to greatness? The truth is, in athletics and in life, you get what you emphasize. And what we tend to emphasize in sport are things like physical strength and conditioning, speed, fundamentals, technique, and results. Then we as coaches and parents act surprised when our players don’t live out the character and discipline we hope they develop. Take the NFL Draft for example – millions of dollars are essentially gambled on these young men based on dozens of physical characteristics measured in a variety of different ways. Yes, there is a bit of effort aimed at getting into their intangibles (Wonderlic test, player interviews, etc). But Teddy Bridgewater has a mediocre pro day throwing the ball for 40 minutes and his draft stock immediately comes into question. Something is terribly wrong with this system (an interesting read here on the talent assessment success – or lack thereof – in the NFL draft).